After the last home fixture saw Sunderland fans dancing in the dark with a dimly lit win, we hope this week’s fixture against Leicester will show light at the end of the tunnel in the hope of climbing the Premier League ladder! 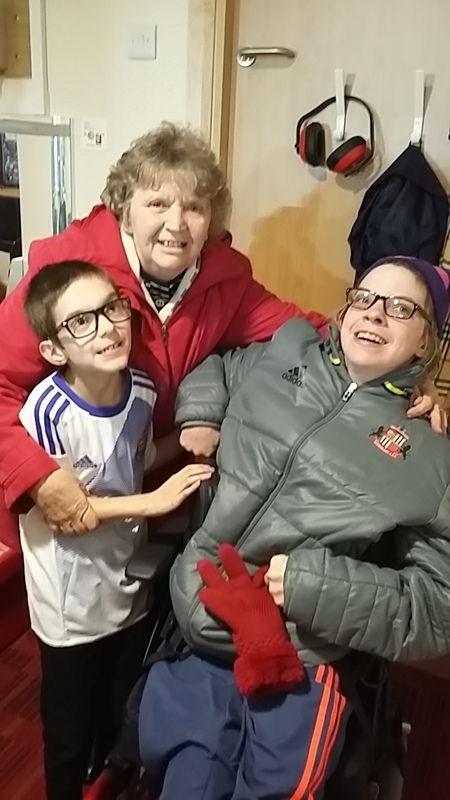 The match against hull brought our friend Lynn Mearns and her lovely mam Susan. We met Lynn and Susan previously at the club and we were delighted to see them again as they tried out the wheelchair gantry which is situated in front of our window. It was a wonderful day, even better after a win, and a very brave Lynn being ‘evacu – chaired’ out!